Augsburg vs Bayern Munich predictions for the German Bundesliga. Bayern continue their chase on the top spot when they make the short trip to the WWK Arena to face Augsburg on Friday evening. Read on for our free betting tips and match preview. There are better opportunities for a side to get themselves back on track than against giants Bayern Munich, especially if you’re a club in a position like Augsburg’s. The Bavarians’ triumph over Mainz two weeks back proved nothing but a brief moment of relief for coach Manuel Baum, whose men lost 4-0 away to Werder Bremen last time out. With that being the only win in their last twelve Bundesliga outings (D3 L8), his side have fallen to within just three points of the relegation zone. To make matters worse, leading goalscorer Alfred Finnbogason – who netted a hat-trick against Mainz – is also a doubt for this big clash. 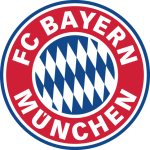 Reversely, after their 3-1 defeat to form side Bayer Leverkusen, Bayern Munich were back to winning ways last weekend with a victory over Schalke to the same scoreline, a result that leaves them within five points of league leaders Dortmund. Veteran Thomas Muller will be hard pushed to get into the starting eleven for a fourth game running, following another strong performance from Real Madrid-loanee James Rodriguez. Coach Kovac may, however, look to make a few changes to give a few players a breather ahead of next week’s UEFA Champions League Round of 16 first leg away to Liverpool. While this sounds somewhat ominous for the hosts, they won’t be without their chances. To their benefit, goalkeeper Manuel Neuer is expected to be sidelined due to an ongoing hand injury. Keeper Sven Ulreich has not kept a clean sheet in any of the five games in his absence and when looking back further over Bayern’s away records, they’ve actually only managed to keep out their opponents in two of their last ten competitive away matches (20%). Augsburg’s scoring record, meanwhile, while hit and miss on the road, has been very consistent at the WWK Arena. Not only have they scored at least one goal in all but one of their 10 home outings so far, but they’ve also found the back of the net against stronger defences like Gladbach and Frankfurt. However, Augsburg’s own defence has been their weak link, and there’s no looking past that here. With Bayern very much in goal-scoring form, it’s tough to see the hosts getting a result against the reigning champions, particularly with star man Robert Lewandowski in good form. He’s already netted 18 Bundesliga goals against Augsburg – more than against any other team. There’s value to be had adding ‘both teams to score’ to a bet on the resurgent visitors – BTTS has landed in 80% of Augsburg’s home and 55% of Bayern’s away days after all – and going off that we like the look of a correct score prediction of ‘3-1 Bayern Munich’. 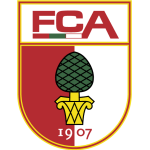 FCA have conceded a league-high nine goals from fast breaks this season, while defending champions Bayern are just behind them with eight conceded. Augsburg have collected just 18 points from their opening 21 league games, their lowest return at this stage of a Bundesliga campaign since 2012/13 (15). Augsburg have already conceded 37 goals, the most they have ever let in after 21 Bundesliga matchdays. No team has scored as many Bundesliga goals from set pieces as Augsburg so far this season (15). A five-point gap to first place after 21 games (or later) has only been caught up by three Bundesliga teams since the three-points-per-win rule was introduced: Dortmund in 2001-02, Stuttgart in 2006-07 and Wolfsburg in 2008-09. Bayern’s tally of 24 goals conceded is their worst record after 21 Bundesliga games since 2010/11 (26). Bayern’s top scorer Robert Lewandowski has already netted 18 Bundesliga goals against Augsburg – more than against any other team. No other player in Bundesliga history has found the net as often against FCA. Bayern’s Robert Lewandowski has already assisted seven Bundesliga goals during this campaign – as many as in his previous two seasons combined.